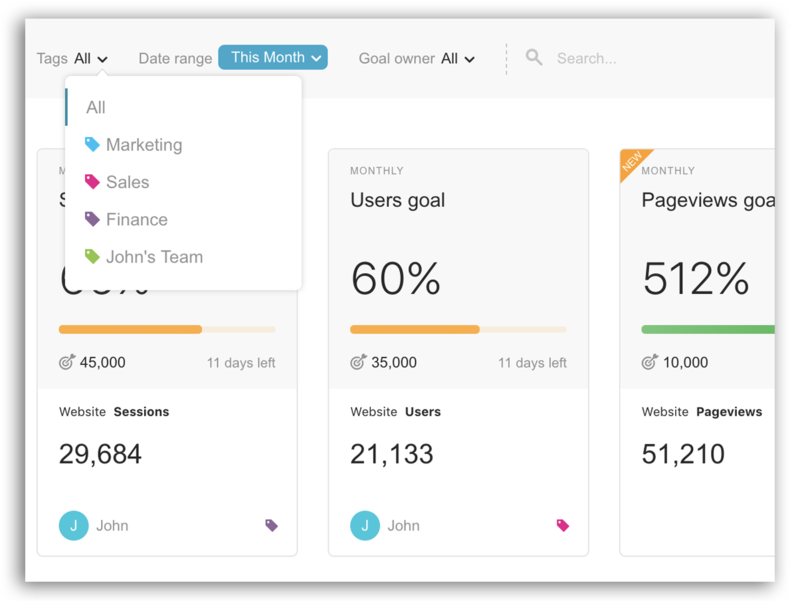 The Goals feature in Databox allows you to get more specific. Now you can translate aspirations into specific goals across the departments that influence them. By tagging goals by department, everyone is in the loop as to how the goal will be hit, and who they can go to for support.